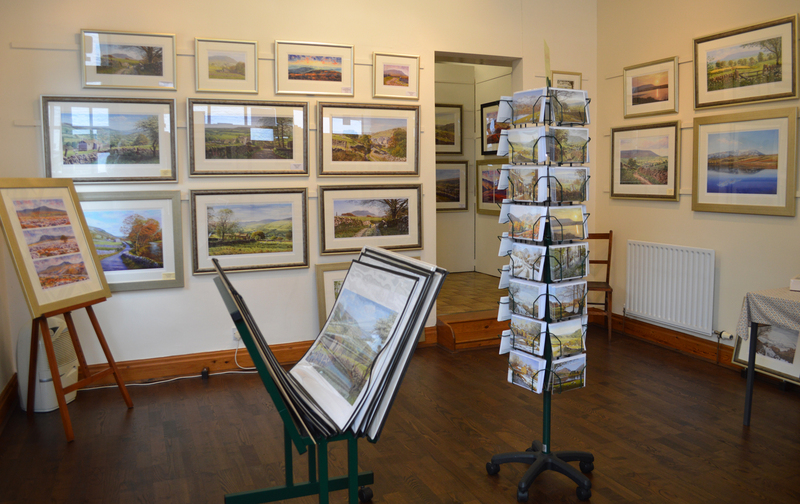 Exhibitions and some of the most recent products available. Hoar Frost at Narrowgates, Barley, Lancashire. The frost was so thick it almost looked like snow. 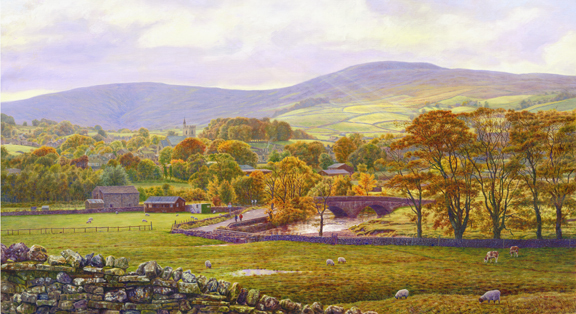 Hawes is located at the head of Wensleydale with breathtaking scenery all around and is said to be one of the highest market towns in England. The River Ure, which is such a picturesque feature of Wensleydale, runs just to the north of the town. 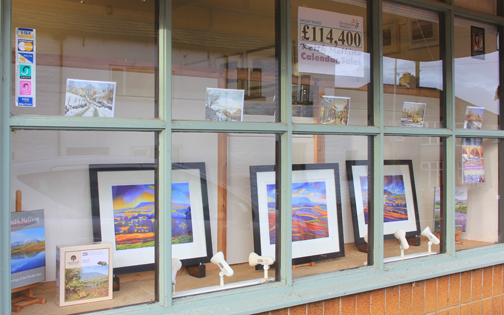 There is a new print in the Lakes section! I've made it available in three sizes. This is England's deepest lake and probably because of it's setting, the most atmospheric. 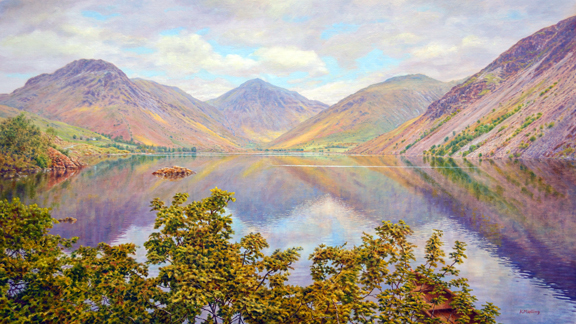 Wasdale is surrounded by high mountains including Great Gable which is central in the painting. Scafell Pike just out of view from this angle is hidden by Wastwater Screes on the right. 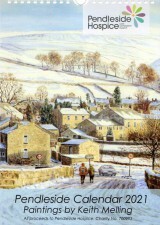 My latest book (above) is available from our online shop. 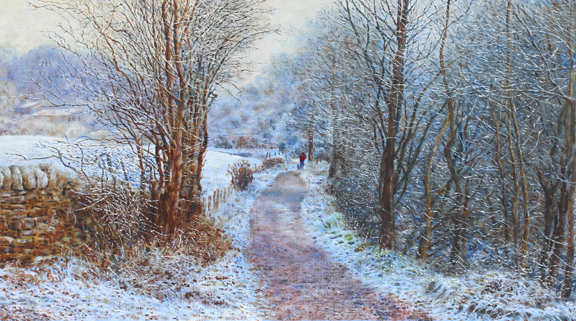 Keith Melling: An Artist in Pendleside. Below is a portion of what is on the back cover. 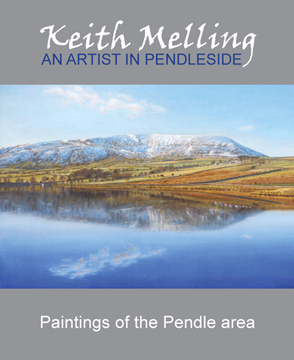 In this attractive book, the second by Keith Melling, we explore the varied landscape of the artist’s own patch, and see it all through his eyes; from the vast and dynamic uplands to the green pastoral valleys, and even some more uncomely back street views. Together with interesting oddments of history, including a fascinating summary of the Pendle Witches, this richly illustrated book offers a comprehensive and vivid picture of a remarkable area that deserves to be better known.